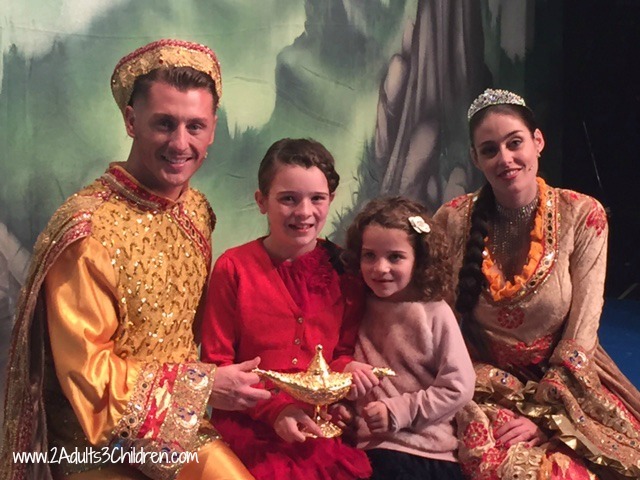 Oh didn’t we have a fantastic time at the Aladdin pantomime in St Helens last week? Oh yes, we did! I never cease to be amazed by how such a small theatre can produce such a high quality performance year on year. I went along with my 3 girls to check out this year’s panto for ourselves. As with most pantos, the show starts by introducing the main characters – interesting that there didn’t seem any big bang and a baddie suddenly appear this year which in previous years has quite frankly petrified my youngest. She happily stayed firmly sat in her seat! 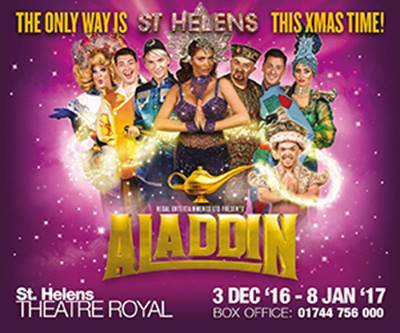 The main draw to St Helens’, Aladdin this year is Amy Childs & Harry Derbidge of TOWIE fame. Not being a TOWIE watcher and knowing absolutely nothing about Essex, I was expecting us to not get the in-jokes but never fear, there are plenty of ‘Babe’ references that even the youngest can identify with. As expected, Amy Childs is gloriously wooden – Good job we weren’t expecting RADA performances from her. The rest of the cast more than make up for her though, our favourites Simon Foster (Billed as St Helens’ Resident Dame) and Ben Engelen (the Marvellous Wishy Washee) are truly brilliant. I dread the day they get snapped up for National theatre – it will be a sad day for the St Helens panto. One thing that struck me this year was the effort that has gone into costumes and scenery – Just incredible! Sparkle, colour and huge backdrops – Well done to the team! The dancers are brilliant too – especially the little teeny girl. She’s definitely not just there for cuteness factor – you cannot take your eyes off her! Apparently this year’s panto is slightly shorter than previous years, following feedback from the audiences – Can’t say I noticed. Seemed just right every year to me. One part I did miss was the 12 days of Christmas sketch though (My kids talk about a Bra that was made to fit 3 all year round). Hopefully this will make a return next year! We don’t normally bother with the end photo with the case but as we were there to review, we got invited up to take part. Tara loved it and Aladdin & Princess Jasmine were genuinely lovely. A really touching moment was a boy with special needs meeting the cast and being treated like royalty himself – There was no rush to get him off stage even though others were waiting. The cast stayed talking to him and showed great patience. Beautiful moment. 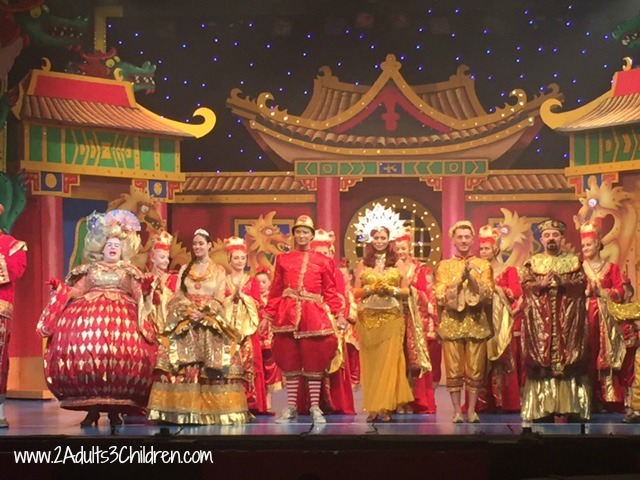 Once again, well done to the cast and production team behind Aladdin at the Theatre Royal. We loved it and can’t wait to return next year! Oh yes, we did!